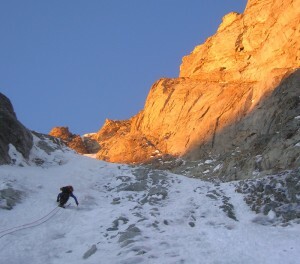 2 nights spent in famous Italian mountain ‘Rifugios’. Superb locations, hospitable staff, great food, cafe & vino. An experience in itself! 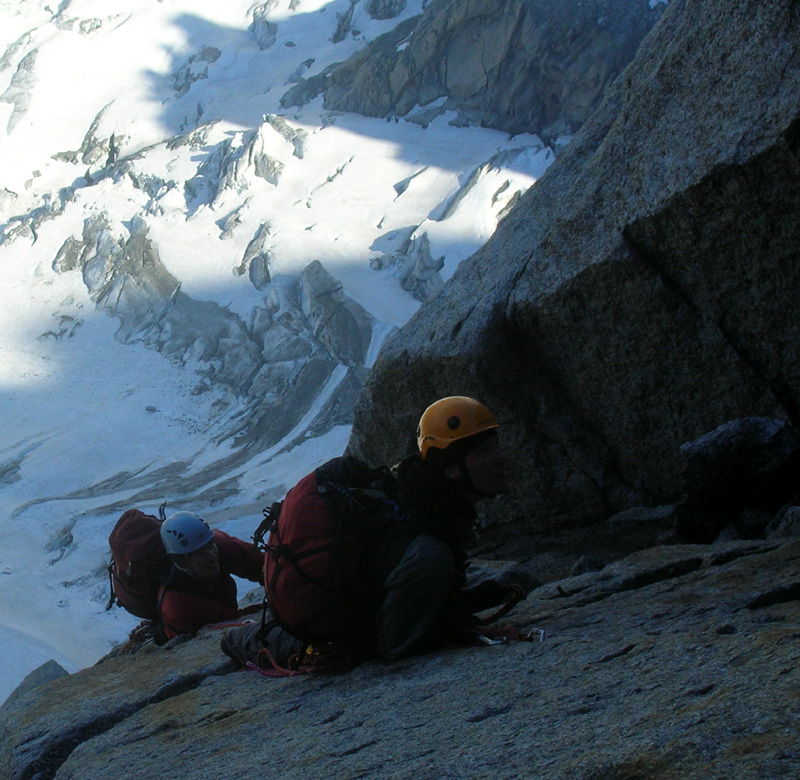 This course starts and finishes in Chamonix Mont Blanc, easily accessed by a convenient 1 hour transfer from Geneva airport. 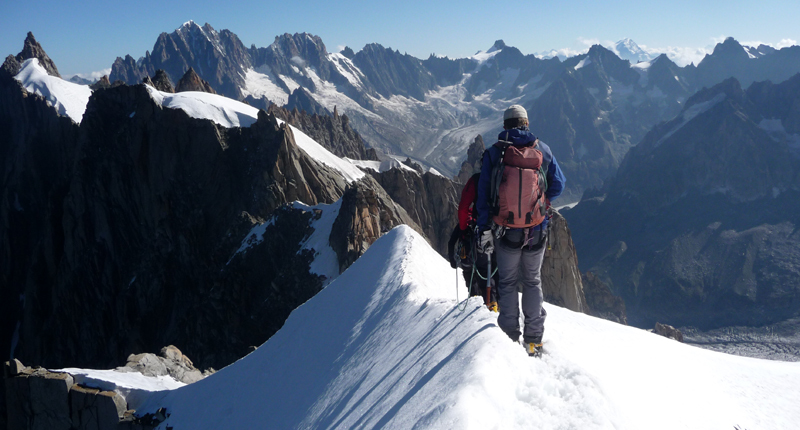 We recommend guests arrive a day early if possible to enjoy some orientation and warm-up mountain walking around the Chamonix Valley. 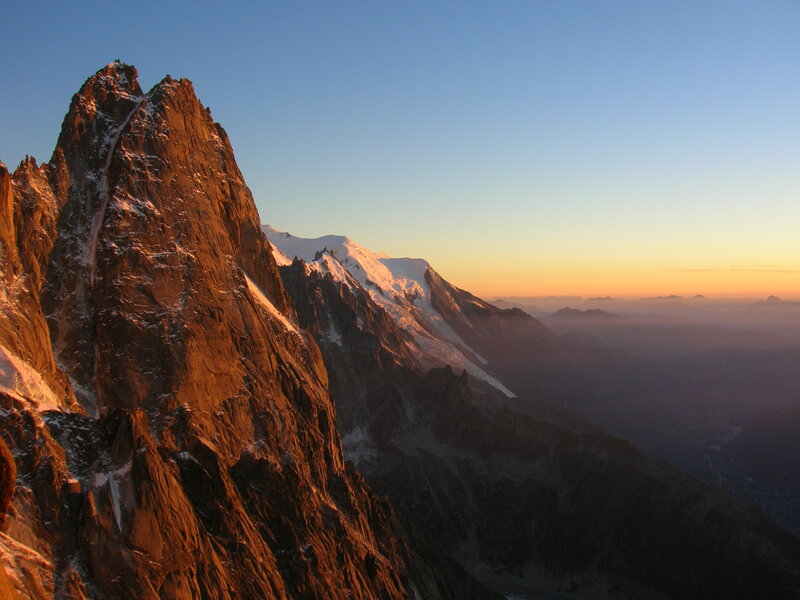 We meet in Chamonix at 0830 on the morning of day 1 for an introduction to the course, equipment check and to set off up to the glacier and mountain hut. We can put course guests in touch with each other prior to the start so they can team up in advance. Here is the Plan A programme for the week which may have to be altered closer to the time according to weather & conditions. Day 1 begins with introductions, a chat through the week ahead, weather brief and equipment check. 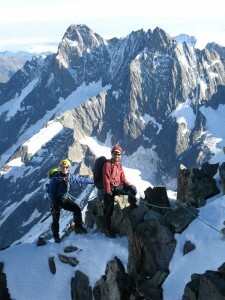 We can also hire out any alpine mountaineering equipment out at this stage. Please check our alpine mountaineering equipment list and mountaineering equipment hire pages in advance and let us know what items you will require. 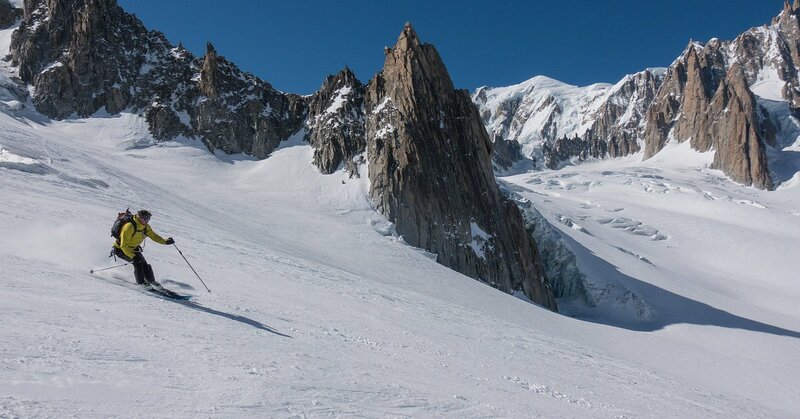 Driving north east up the Chamonix Valley we head to the small hamlet of Le Tour where a ski lift can be taken towards the Col de Balme (French – Swiss border) to start the pleasant 2 hour walk to the newly refurbished & excellently positioned Refuge Albert Premier (2702m). 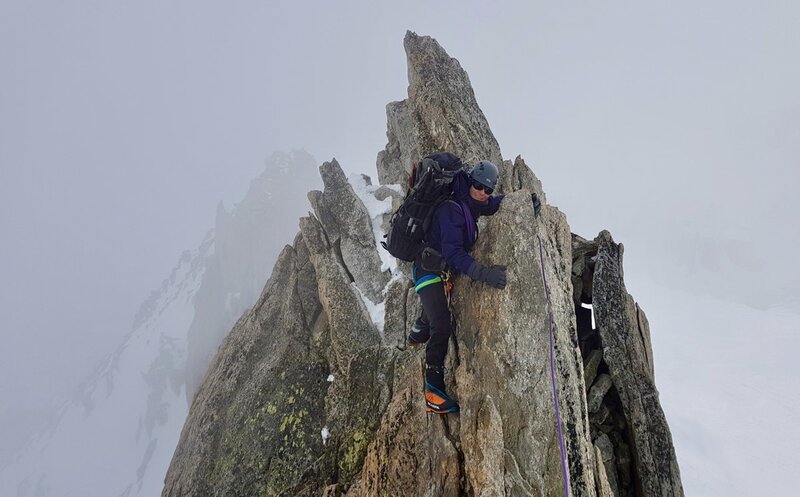 After yesterdays training / refresher, this is an opportunity straight away to put things in to practice and climb this classic introductory alpine peak high on the French Swiss frontier. 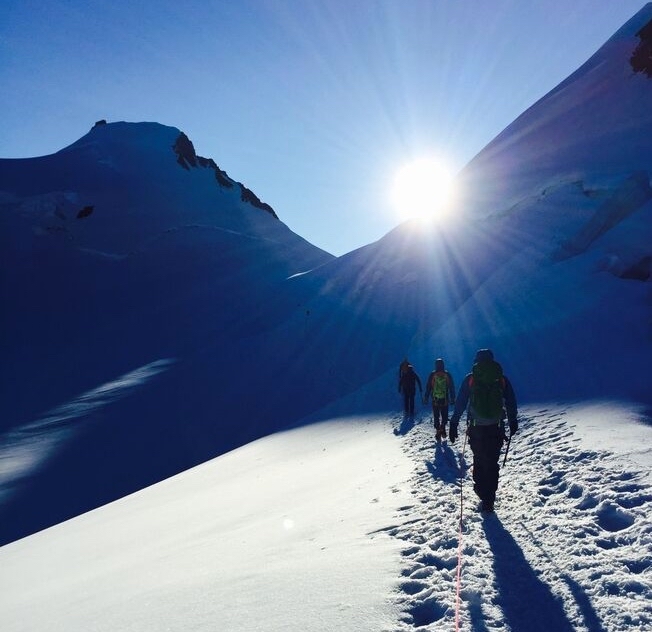 After an 0400 breakfast the walk to the glacier begins where the team rope up for a scenic and physical glacier journey practicing glacier travel techniques and acclimatising along the way. 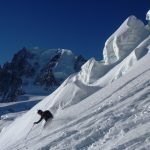 We usually climb the Tete Blanche but depending on the conditions and team we have also climbed the Aiguille du Tour & Petite Fourche. The views across to the Matterhorn and Monte Rosa are spectacular as well as, closer to home, Mont Blanc. The descent takes us back via the Albert Premier Hut where an early lunch can be enjoyed on the sunny terrace. Then, a relaxing walk back through alpine meadows towards the Col de Balme takes us back to the ski lifts of Le Tour. 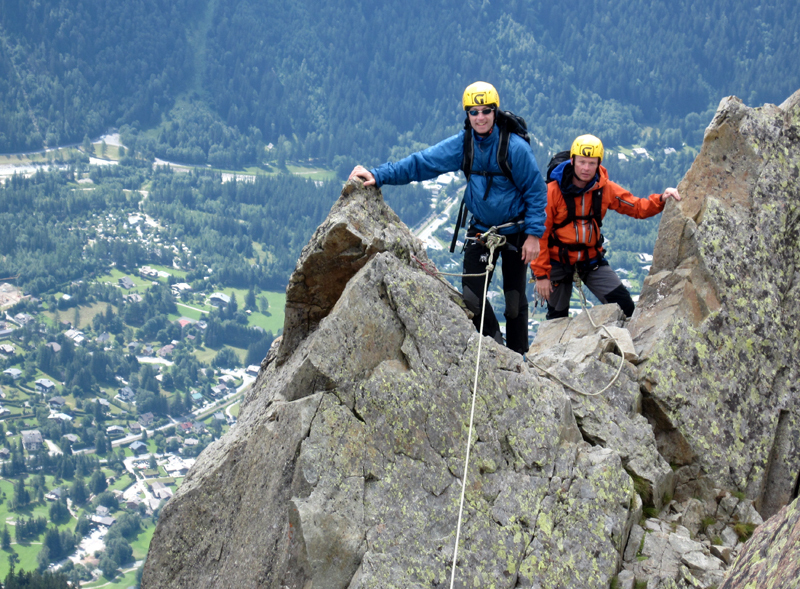 Happily, an important part of alpine mountaineering is the ability to relax and recover and the attractions of Chamonix can be enjoyed later this afternoon / evening and any necessary adjustments made to equipment before heading South across to Italy the next morning. From Staffal, at the head of the Val de Gressoney, 3 lifts are taken to give a rapid height gain to Punta Indren above 3200m. 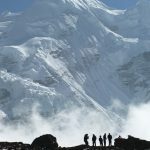 This gives an amenable short walk to the hut of an hour and a half although there is a small glacier to cross and a rocky scrambly path to negotiate. 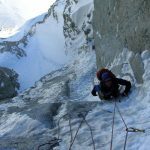 This approach provides another good opportunity to develop mountaineering skills along the way including a look at crevasse rescue and the option to do a short scramble moving together. The Rifugio Mantova is a spacious & smart hut with a modern feel and good food. 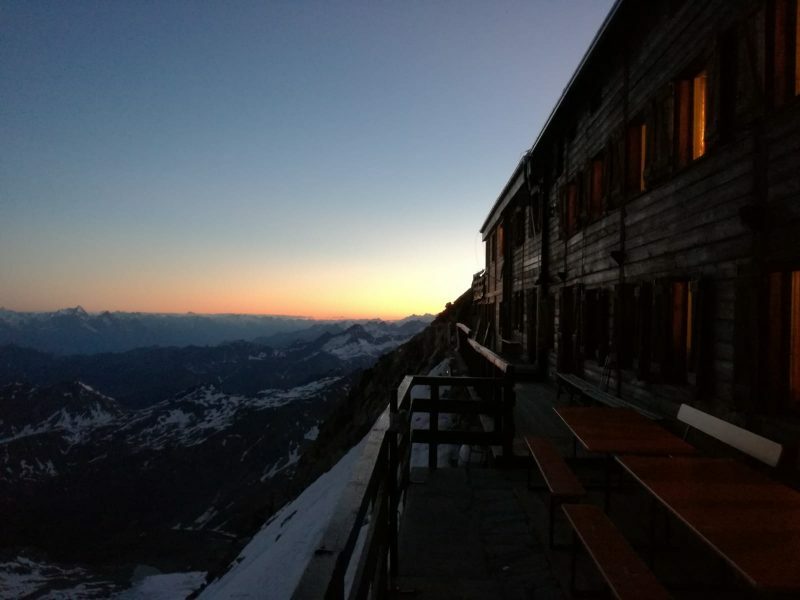 The evening is enjoyed here after preparations have been made for the pre-dawn alpine start the next morning and the big climb in to the heart of the Monte Rosa range. 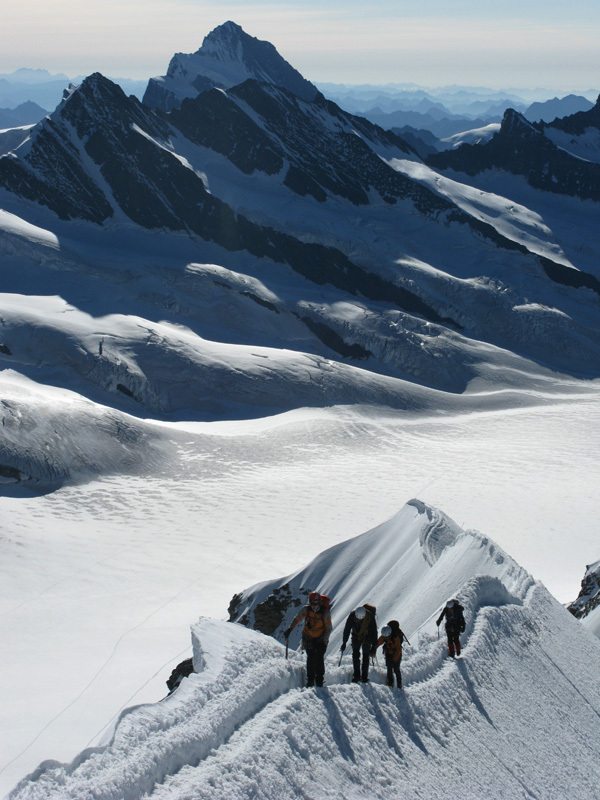 This passage marks the entry in to the true upper sanctuary of the Monte Rosa Massif. 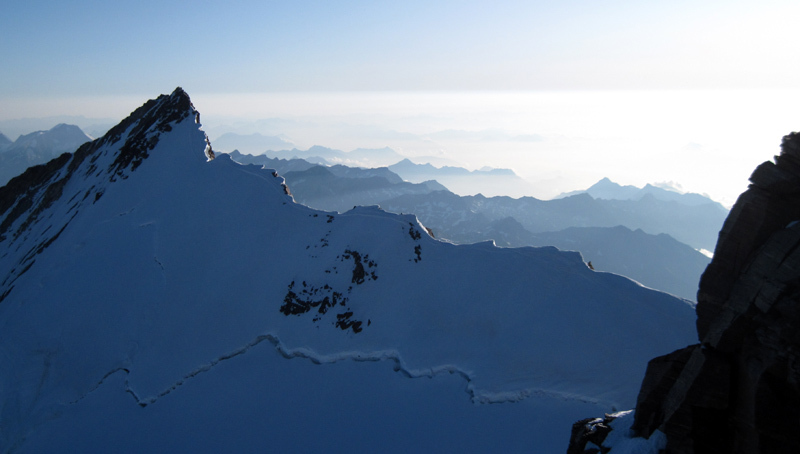 Nearly all the tops of the range can be seen from here including the Margherita Hut on the Signalkuppe (4554m). Lyskamm also towers above the col with the Dent Blanche in the centre of the picture and Obergabelhorn & Zinalrothorn on the other side of the Zermatt Valley. 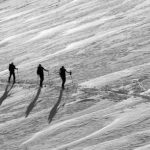 The glacier ascent begins almost immediately above the hut and the team should be roped up and making tracks before dawn at around 0500. 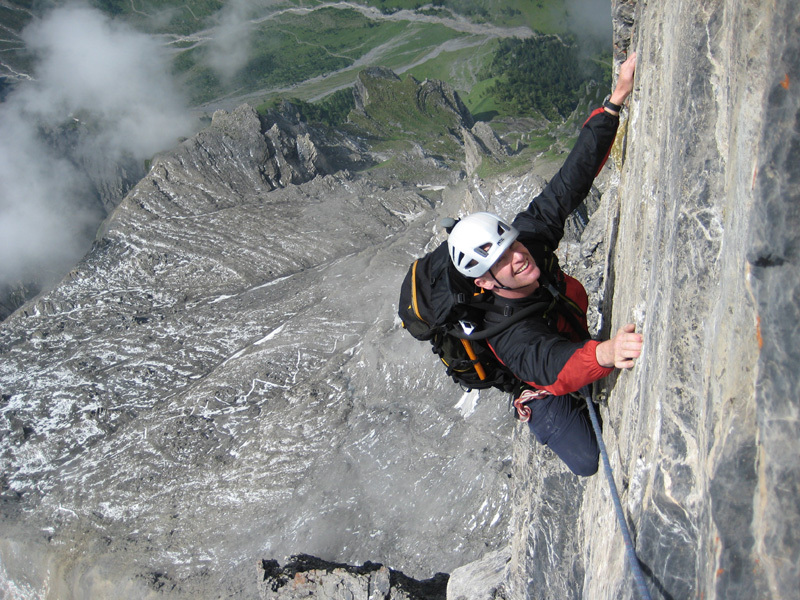 The climbing is technically easy and gives a good opportunity to keep the breathing steady and enjoy the wonderful dawn alpine ambiance. Other teams are also joining the route from the nearby Gnifetti Hut. 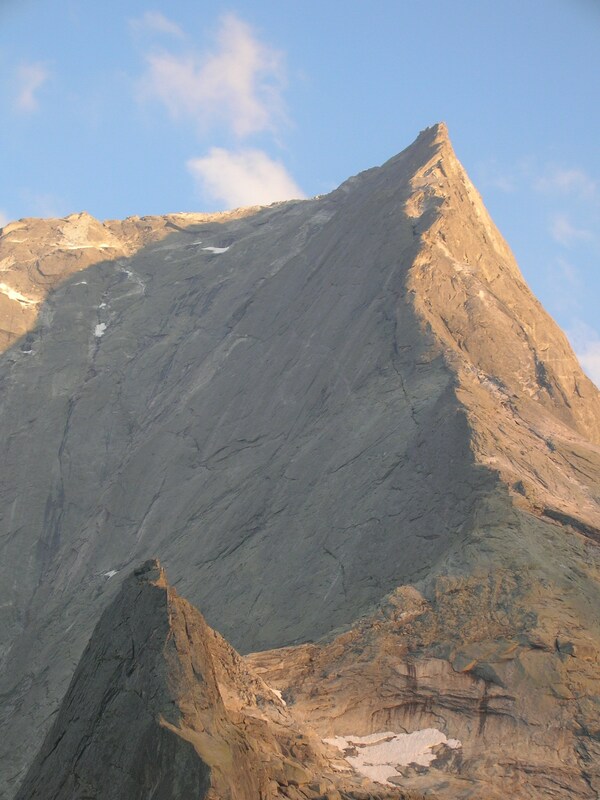 A steepening and Pyramide Vincent, another 4000m peak and tomorrows objective, is passed on the right. 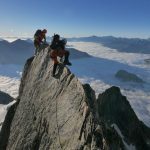 As dawn arrives a magnificent sequence of views develops both North West to the Swiss Valais giants like Liskamm, The Matterhorn, Dent Blanche and Weissmeiss. Over to the West to Mont Blanc and South across the Valle d’Aoste to Gran Paradiso. 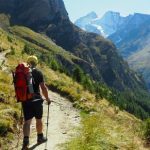 At around 4200m a fine plateau above the Lisjoch is gained, a good spot for a breather and to soak up the atmosphere of this remarkable high alpine glacial environment. Punta Gnifetti & Rifugio Margherita can also be seen from here as can the even higher summit of the Dufourspitze. Some teams will descend the mighty Grenz Glacier from here to the Swiss Monte Rosa Hut. 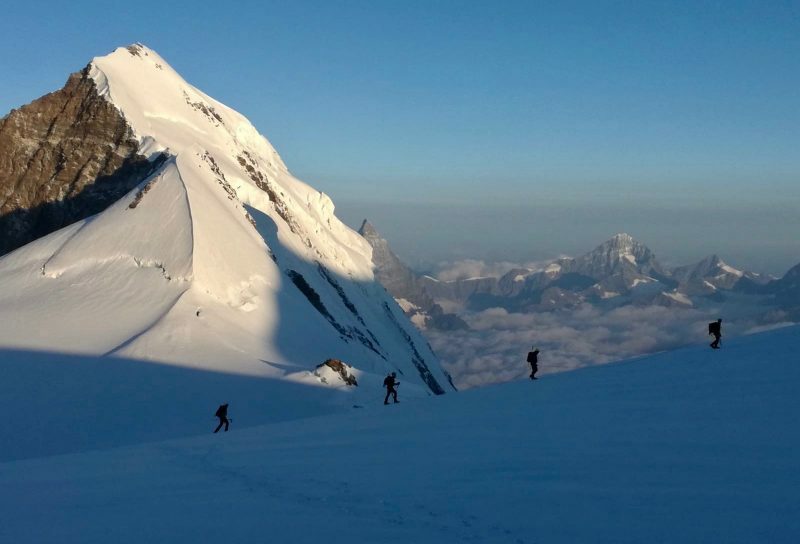 Our journey continues steadily upwards, feeling the altitude now…pause for breath to view the Eiger & Bernese Oberland to the North…and then the fine summit is reached with a welcome break at the highest cafe (and building) in Europe! 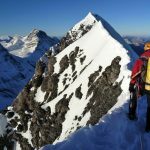 Our descent takes us back on to the Italian side of the mountain with the opportunity to climb another lower summit on the way down or visit the Balmenhorn Bivi Hut. 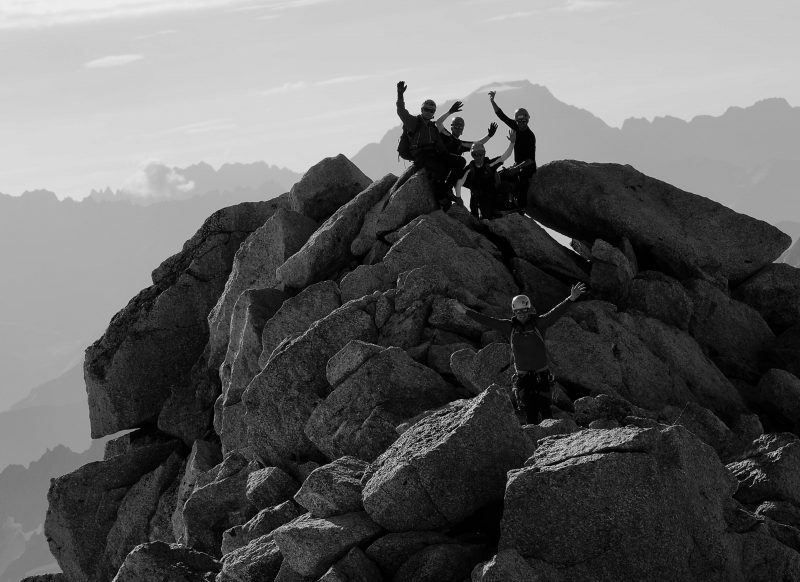 Our new advanced base camp for the final night is the large & charismatic Rifugio Gnifetti. This is another high altitude hut but we should be getting well enough acclimatised to enjoy the famous Italian hut food & drink & soak up the sociable atmosphere….and even get some sleep! Sunset at the superb Rifugio Gnifetti. Chilly outside but warm and hospitable and often very lively inside with good food and ambiance – a great high mountain base camp! The close rivalry between the Gnifetti & Mantova Huts has benefited both and the visitor with both huts having their own different character, style and views. On this excursion in to the Monte Rosa area, we get to sample both! Another 0400 alarm rings the start of the last day….We can enjoy a slightly more leisurely breakfast this morning as we have a shorter final climb. 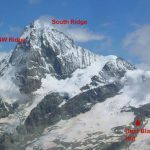 Around 2 hours from the hut takes us to the summit of the Piramide Vincent, the only Italian 4000m peak of the massif which does not share a border with Switzerland. 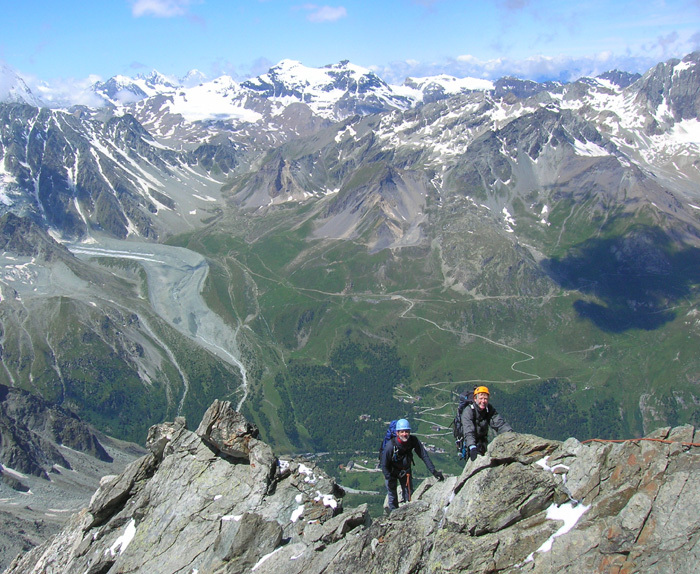 The ascent is steady with a final steeper summit slope and superb views back down the Gressnoney and Alagna Valleys. 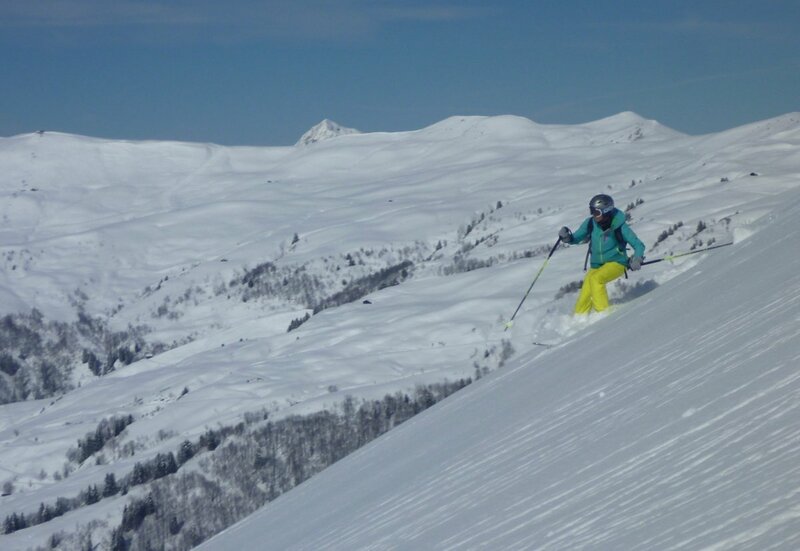 The swift descent takes us back to the high ski station above Gressoney. By mid morning we are back in the valley, enjoying Gelato and making our way back up Valle d’Aosta to arrive back in Chamonix mid-afternoon after a truly memorable week in the mountain. 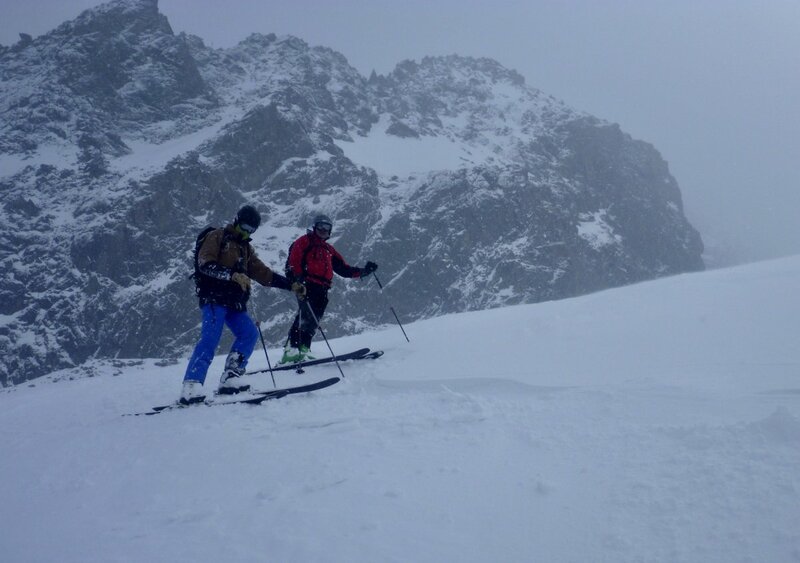 Descending the Ludwigshohe as part of the big summit day 4 on our 2018 course. Many thanks for a great week! 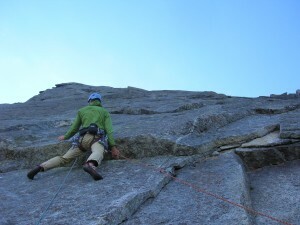 Everything about the trip, from initial booking through to final peak, has been exceptional. 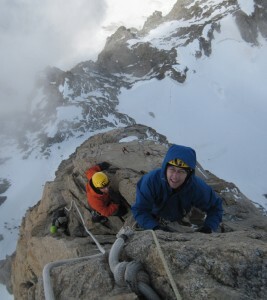 Stefano was an excellent guide who kept Carl and I going when we were close to running on empty. Sharing a coffee in margarita hut after that climb was a highlight and I’m already planning my next trip. Lastly, by complete fluke our hotel overlooked the UTMB course so we have been able to sit on our balcony and enjoy some great racing. 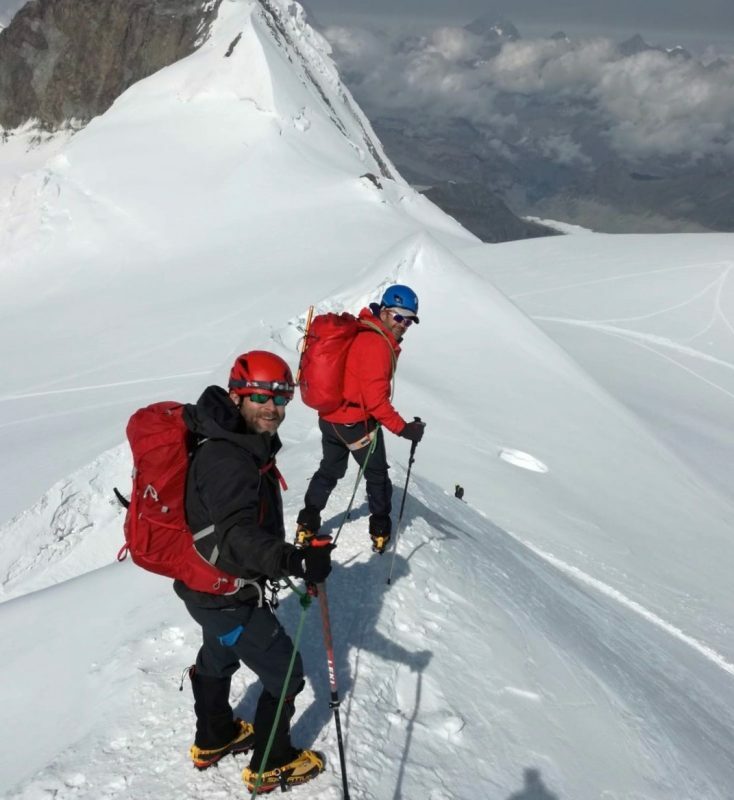 Previous hill walking and any general mountain experience will be useful for our Monte Rosa Mountaineer programme although mountaineering training will be given at the start and throughout the week so no technical mountaineering experience is required. 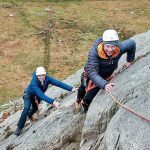 Whilst the technical demands of the climbing are relatively low, this course still involves some rocky / mixed scrambling and with some exposure in ascent & descent. 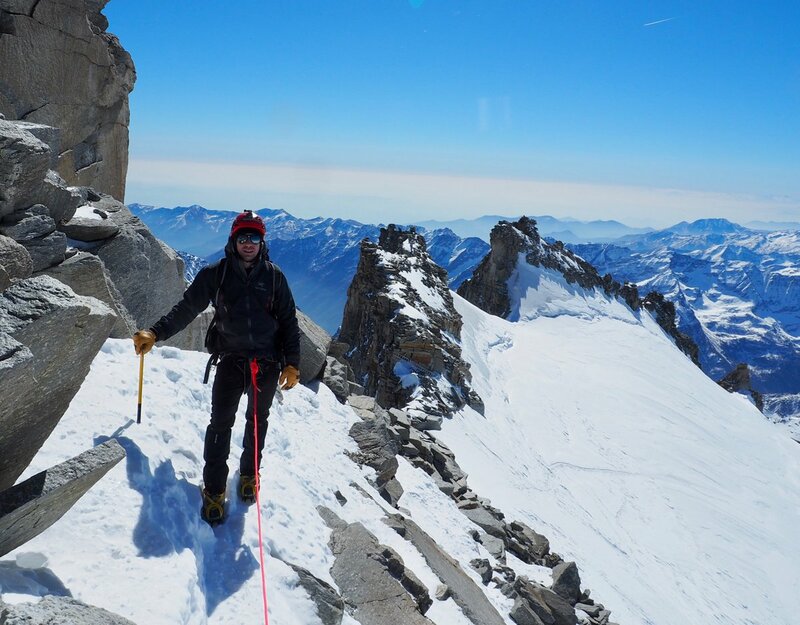 The Aiguille du Tour & Monte Rosa also both involve steep snow slopes and crevassed glaciers so you need to be able to concentrate & deal with these challenges after the initial mountaineering training. 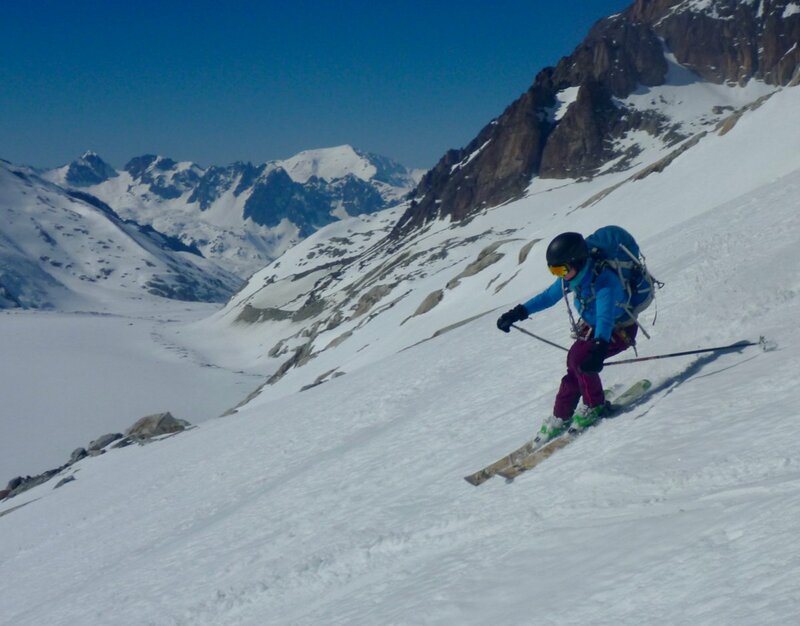 A good level of aerobic fitness is required for the long glacial and high altitude climbs on the Monte Rosa (around 7 hours of climbing / descending on day 4 with altitudes up to 4500m, thus a big effort!) 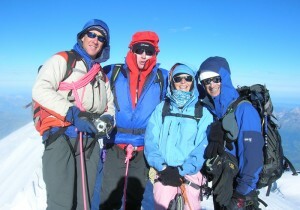 and good endurance is required in general to still be climbing the 4000m peak on day 5. 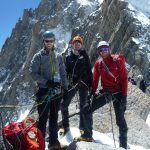 This is an easier programme than our Climb Mont Blanc course, physically & technically, and would be an excellent stepping stone towards climbing that peak. 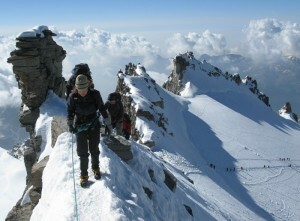 This could then create a magnificent 2 week alpine programme climbing 4000m peaks in the French, Swiss & Italian Alps. Just wanted so say thankyou for a great weeks introduction to Alpine mountaineering. I learnt so much from Stefano who was absolutely excellent. He was great at pushing me when he knew that I was beginning to start bricking it! Many thanks again for a great trip. 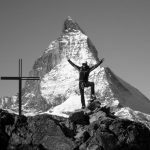 A good build up to the Monte Rosa Mountaineer week would be completing our Intro Alpine Course or Climbing the Gran Paradiso. 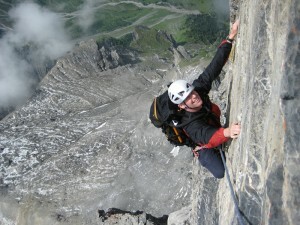 This would then all set you up very well for Climbing Mont Blanc. 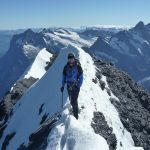 After that, a good option would be Climbing the Weissmeis, Eiger & Matterhorn courses combined with our series of Chamonix mountaineering courses forming a logical progression starting with ‘Becoming an Alpinist’ followed by Chamonix Alpinist & then Chamonix private guiding for harder / longer routes & north faces. The main climbing season for this ascent is high summer (mid-June to mid-September). During this period the lifts of Gressoney are open (weather permitting), the huts are fully open also and there is generally a good track working a way up the glacier between the Gnifetti and Margherita huts. 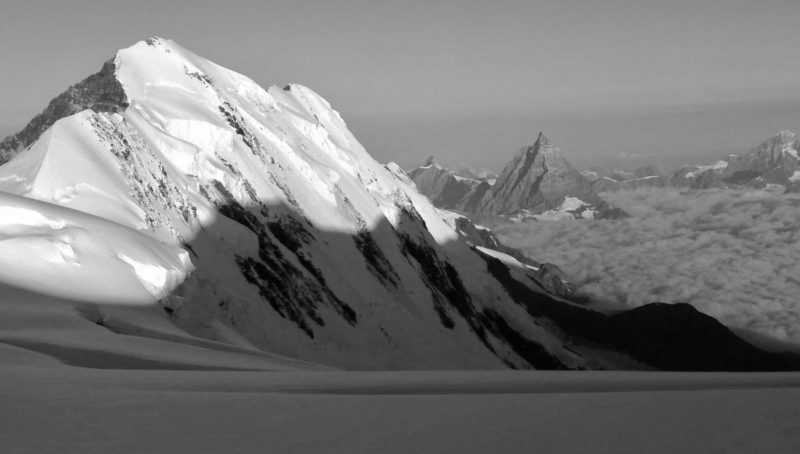 However this can easily be covered with fresh snow & bad weather, during which times the route becomes seriously exposed and is a bad place to be due to the featureless terrain and large crevasses. 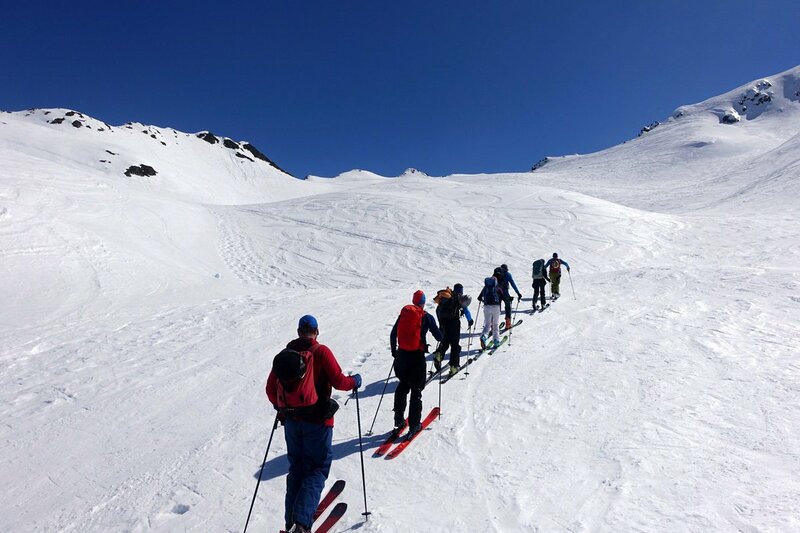 For experienced ski mountaineers it is also possible to travel through these mountains on skis in the spring, when both huts are open for that purpose. 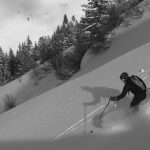 In the right snow conditions, this can be a magical experience and ski journeys can also be made linking with the Monte Rosa Hut on the Swiss side of the range. See our Ski Monte Rosa gallery for more details. 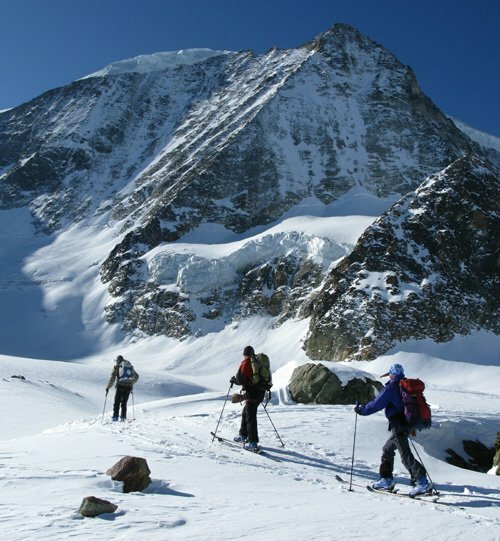 In addition to the classic Monte Rosa Mountaineer group course described here, we can also arrange tailor made private guiding itineraries in this fantastic area. 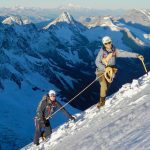 With a lower guiding ratio and more time, other ascents are possible such as the Dufourspitze, at 4634m, the 2nd highest peak in the Alps. 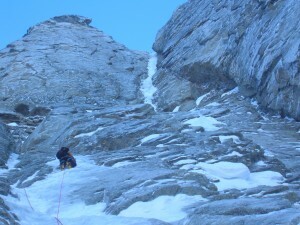 More technical ascents can be made on that peak like the famous ‘Cresta Rey’ alpine rock ridge on the South face (AD+). 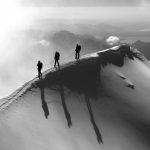 The 4km traverse of Liskamm is also easily accessed from the Gnifetti Hut and its narrow snow crest provides a memorable experience for the very sure footed and is perhaps the most famous snow ridge in the whole of the Alps. There are also classic high level hut to itineraries linking the fine series of Italian Rifugio on this side of the mountain (The spaghetti tour!) 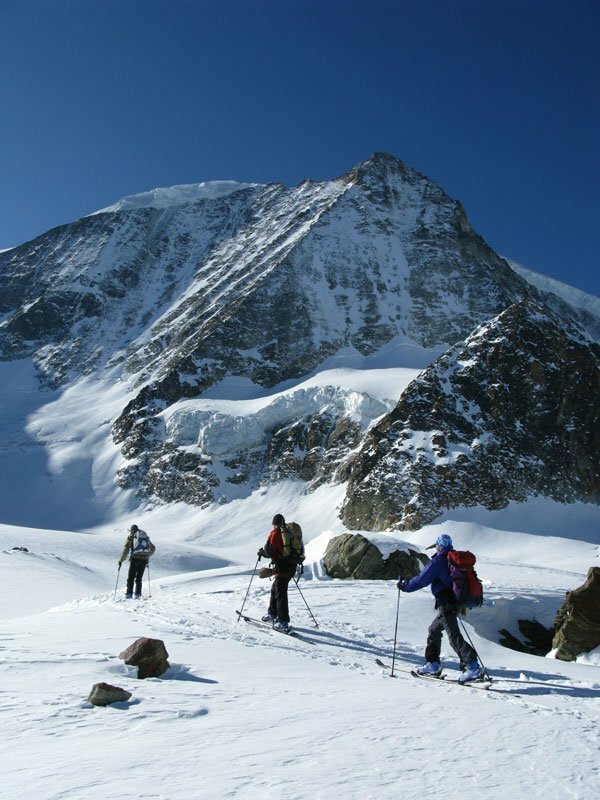 or the magnificent Breithorn – Monte Rosa traverse which can be done as a long mountain circuit from Zermatt, with or without including the principal summits along the way. 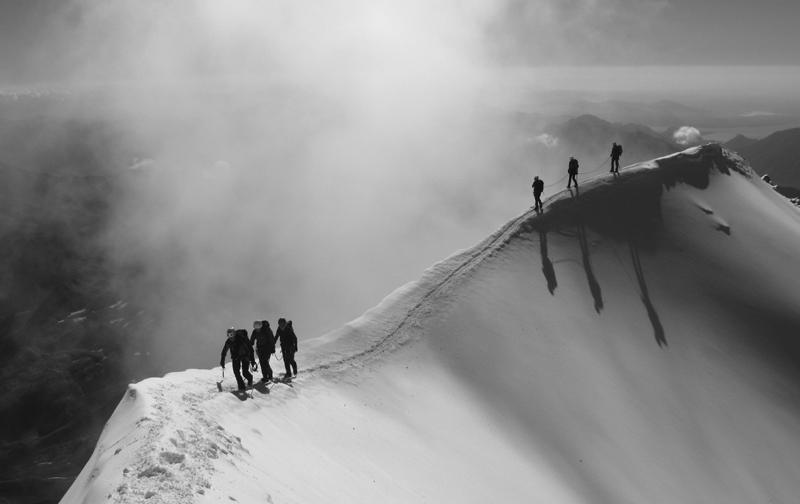 Please refer to our Mont Blanc equipment list for this course as the terrain, altitude and temperatures are similar and thus please ensure you have all items from that lit list, link above. Just a note to say many thanks for a truly fantactic week and amazing weekend, both Stefano and Miles have been superb, Bradley is well and truly hooked! Please pass on my thanks and thank you for organising such a tremendous week. Monday – Friday Inclusive, 5 Days, 8 / 8 Places Still Available. (Enquiries: 1). Maximum guiding ratio of 1 Guide to 4 clients. Valley accommodation. Please see our Chamonix Accommodation notes. Thanks for everything. In brief, Epic! We all had a fantastic time. The guides were great, putting safety first but making it very enjoyable and we have learnt a huge amount along the way! Thanks again for an epic week in the mountains! The magnificent east faces of the Liskamm, Matterhorn & Dent Blanche, from high on the Monte Rosa during our 2018 course. 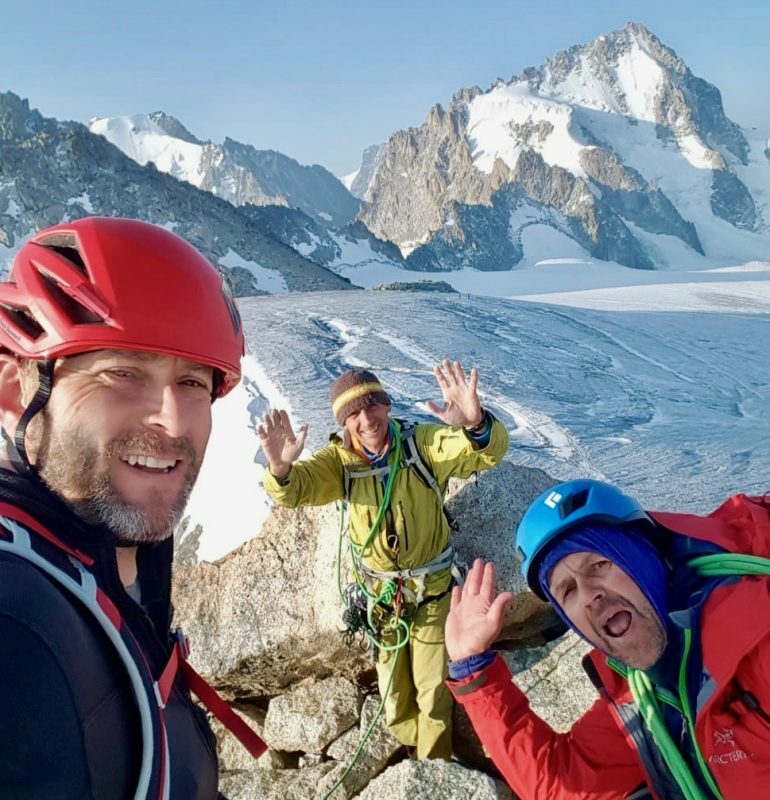 Some recent fresh snow and chilly early autumn weather gave our Chamonix Alpine Intro team a great experience in the pristine feeling high altitude glacier journey up to the Parrotspize from the Rifugio Gnifetti. Great night at the hut, great track, good conditions, big summit, happy team! 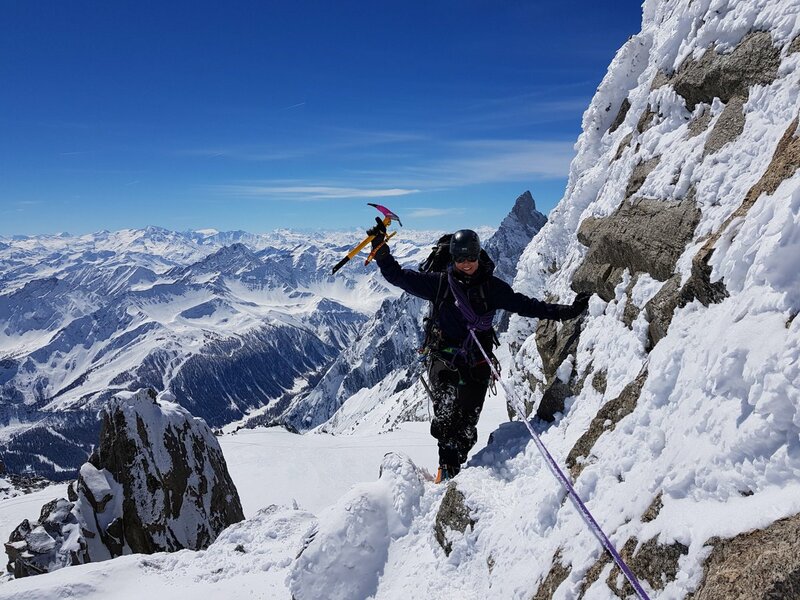 This year the weather stayed good for the main day 4 summit day and the team were able to climb to the Punta Gnifetti to enjoy the highest café bar in Europe! Conditions on the glacier are still good even right at the end of the summer like this and the Ludwighorn and Balmenhorn were also climbed in good snowy tracks. Pyramide Vincent will have to wait for another year as Friday dawned wet & grey. 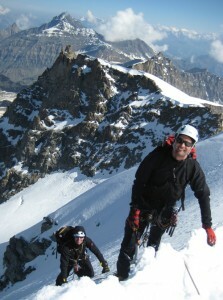 But still a great experience sampling the 2 nights in high mountain Rifugio and the big 4500m+ summits…. 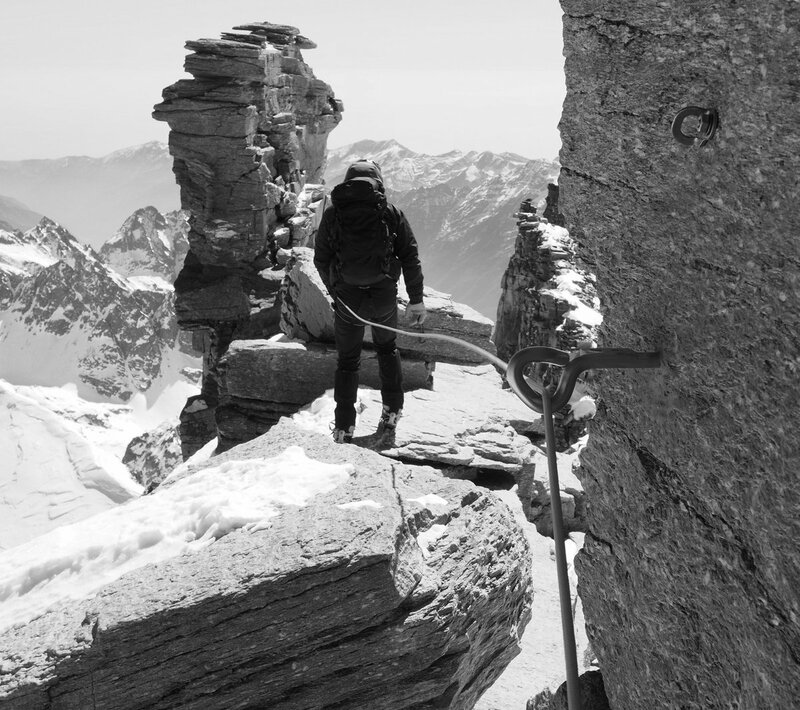 The crossing of the Lisjoch, from Italy to Switzerland, on our 2018 Monte Rosa Mountaineer course. 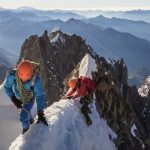 This team had actually come to climb Mont Blanc but the conditions in the Grand Couloir meant an alternative need to be found. Initially of course there is the reluctance to embrace a different objective when a lot of time, energy and money has gone in to planning the ascent of Mont Blanc. 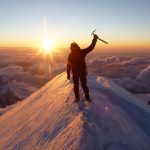 But embrace it we must for the skill of the alpinist is to remain flexible and have good climbing in good conditions as a goal above set objectives. 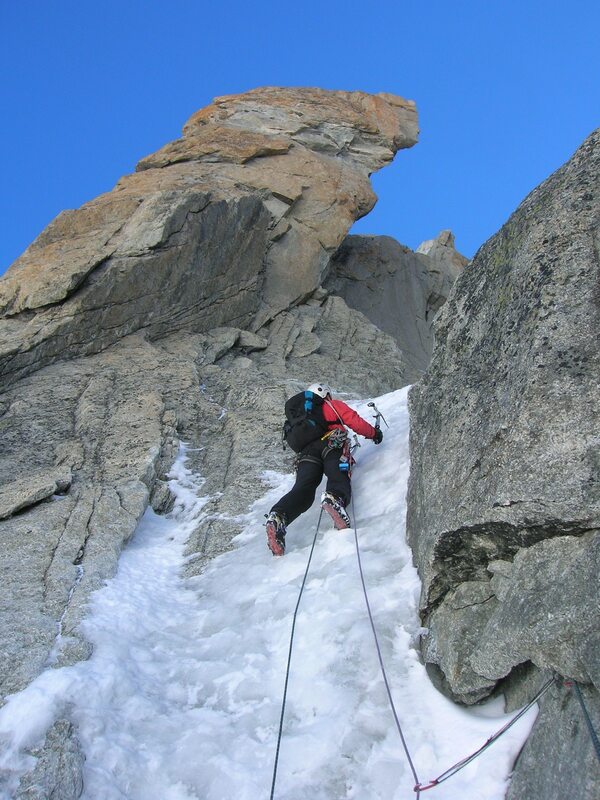 Sometimes the choice is easy, like this week, Mt Blanc was not an option! 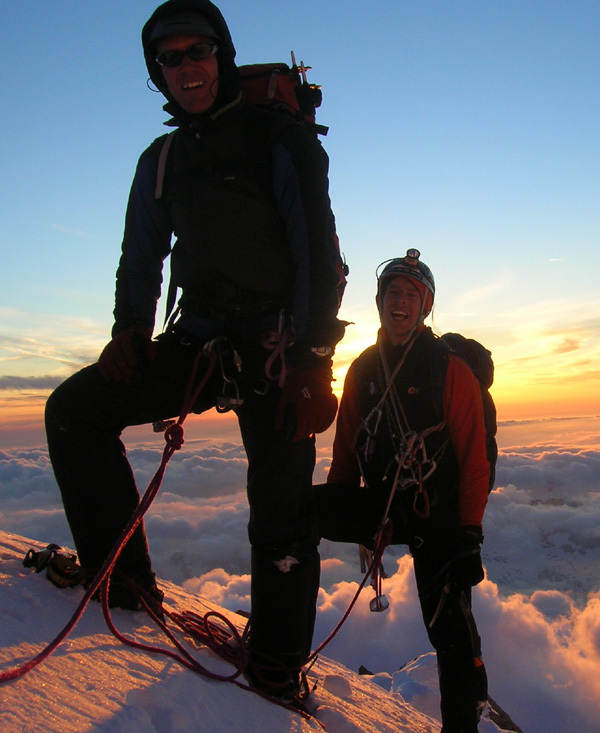 So the team went from fit but complete beginners to Monte Rosa Mountaineers! Epic! 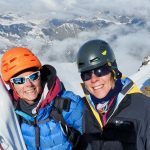 Was their description of the trip at the end and after a day of training, they climbed the Gran Paradiso, and then spent nights at Mantova & Gnifetti climbing, Signalkuppe, Parrotspitze, Ludwigshoe, Roccia Nera and Piramide Vincent. 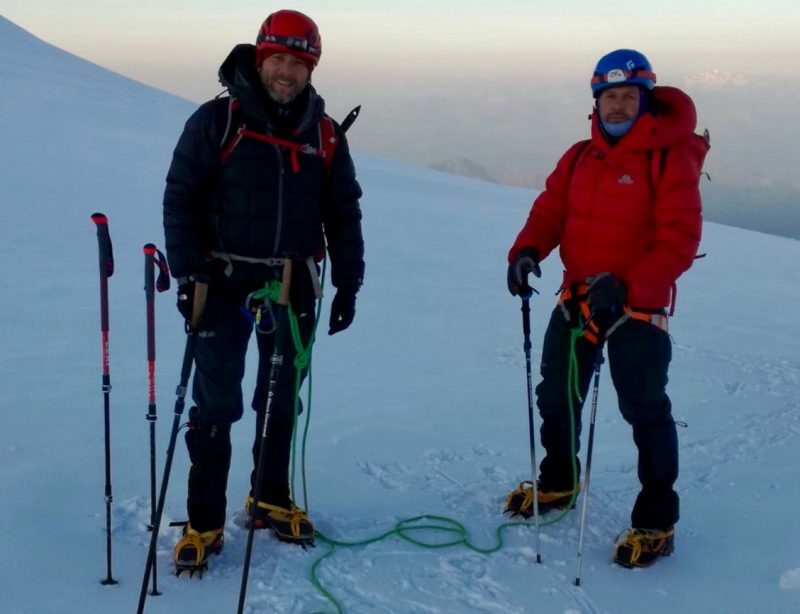 Six 4000m peaks in the last 4 days! 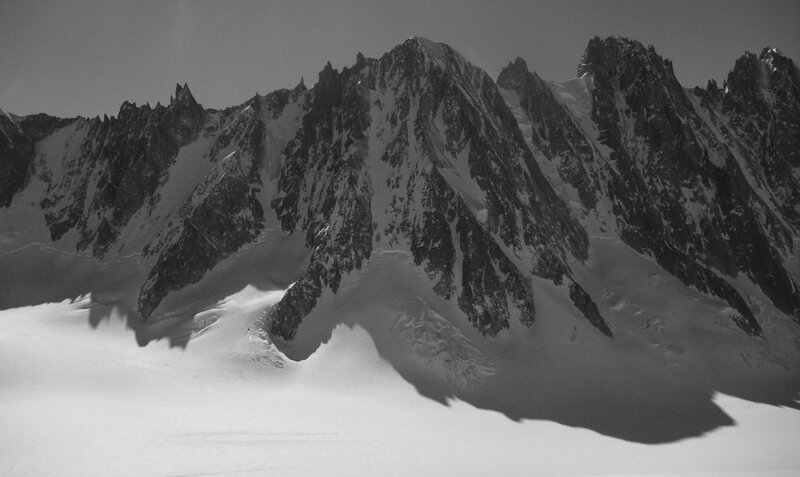 Conditions remain fine on the glacier, as per last month, big crevasses but they are obvious and the track remains good. 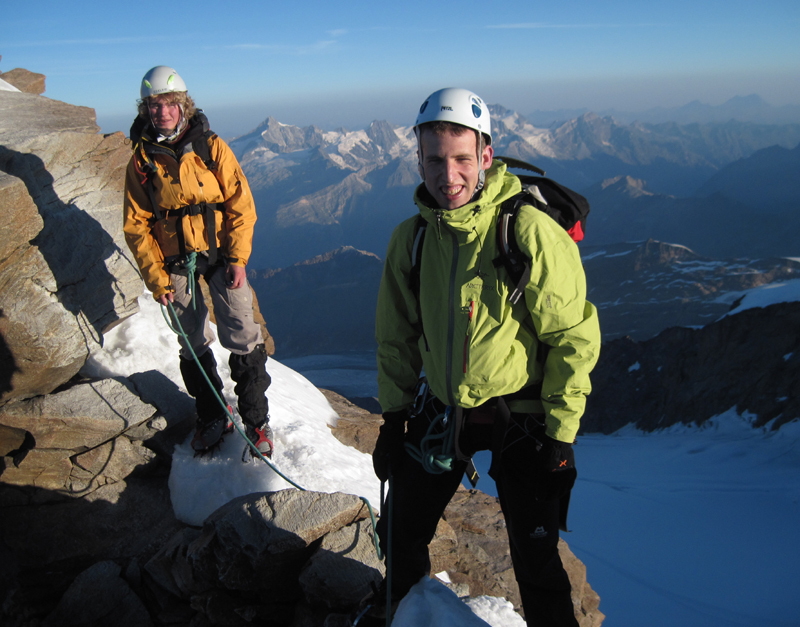 29th July 2015, Café At Punti Gnifetti, An Excellent 2 Day Trip Into The Heart Of The Monte Rosa Massif…. 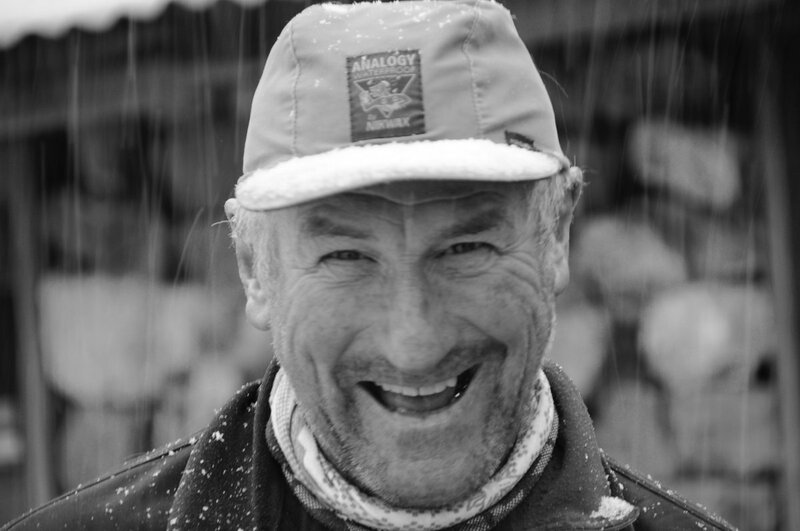 The wet, windy & cloudy approach was contrasted excellently by the warm welcome at the Rifugio Gnifetti. Happily as the long & enjoyable dinner passed,theclouds started clearing. At 0400 the lights of the Italian plains could be seen 100kms away and the snow on the glacier was frozen solid. Game on! 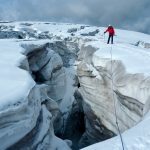 We enjoyed a stunning glacier journey through the dawn, through the crevasses and up to the Lisjoch plateau where we marvelled at the surrounding peaks. The Matterhorn was almost completely devoid of snow and looked odd, albeit still very impressive! 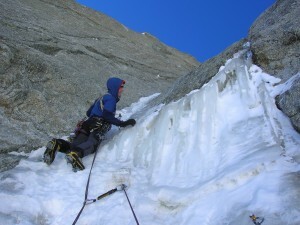 Despite the recent heatwave having stripped rocky peaks and many glaciers back too – conditions here remained good. Yes, there were plenty of big holes in the glacier, but they were obvious and easily avoided by the good re-frozen track. 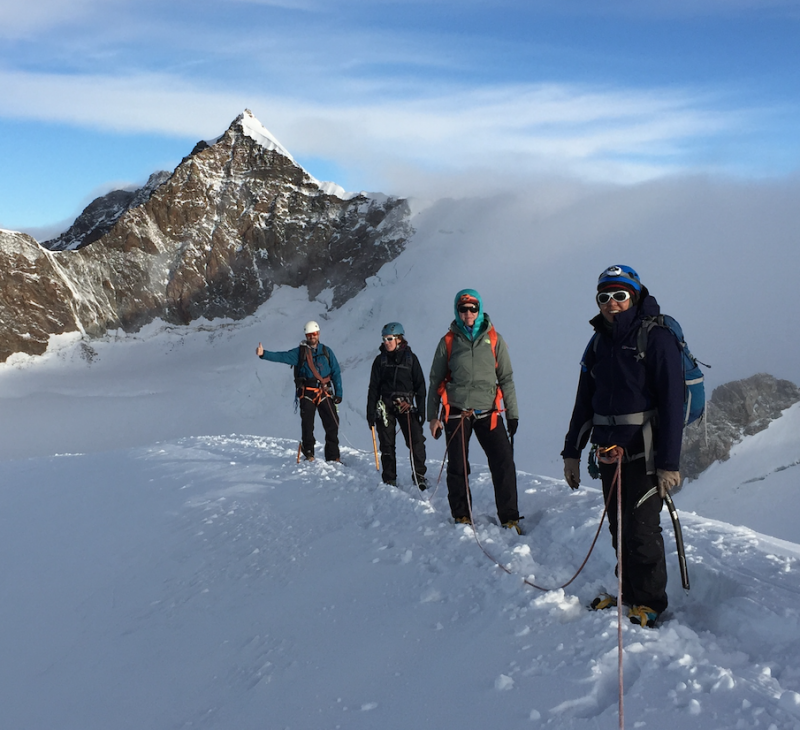 Several teams were setting off on the traverse of Liskamm and again, snow conditions looked surprisingly good considering the summer season so far. Later from near here we would watch teams coming over the Naso de Liskamm from Rifugio Quintino Sella. There the slope looked steep and icy, but many teams were still coming that way! 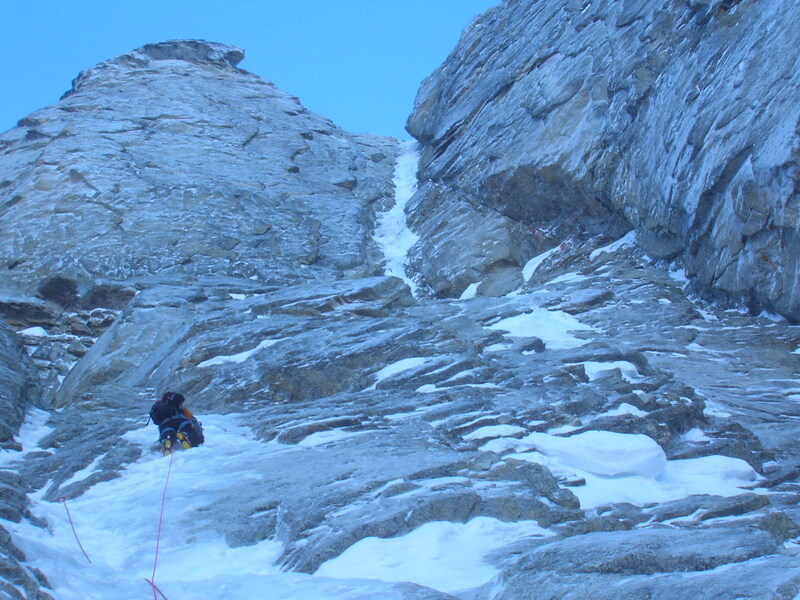 We proceeded up to Signalkuppe / Punta Gnifetti and for an excellent café and bowl of soup. The views were remarkable, even the toilet looks straight across to the Matterhorn! 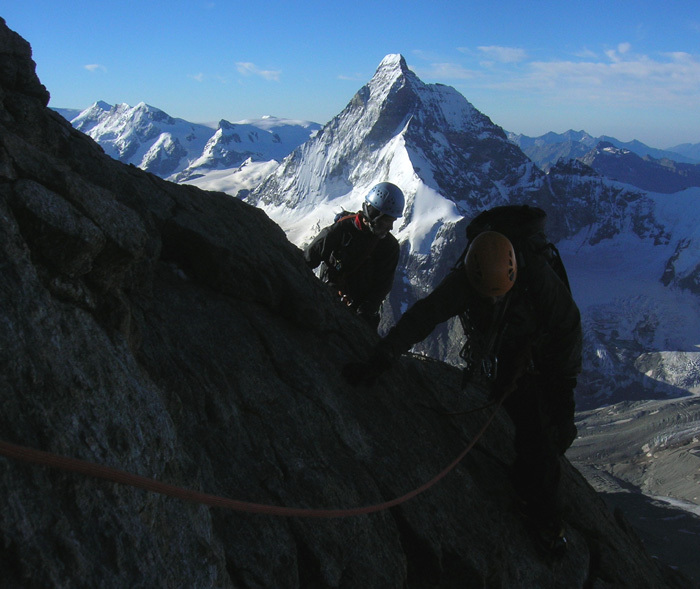 Many other teams were also climbing Zumsteinspitze and the Parrotspitze as well as, presumably the Dufourspitze from the Swiss side although we saw no evidence of the latter. 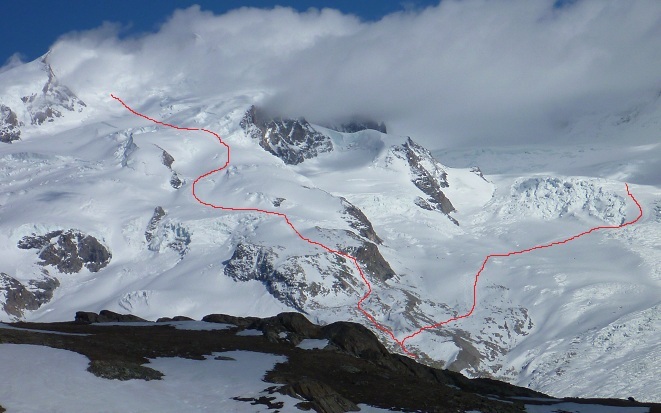 One team descended the huge Grenz Glacier bound for the Monte Rosa Hut. 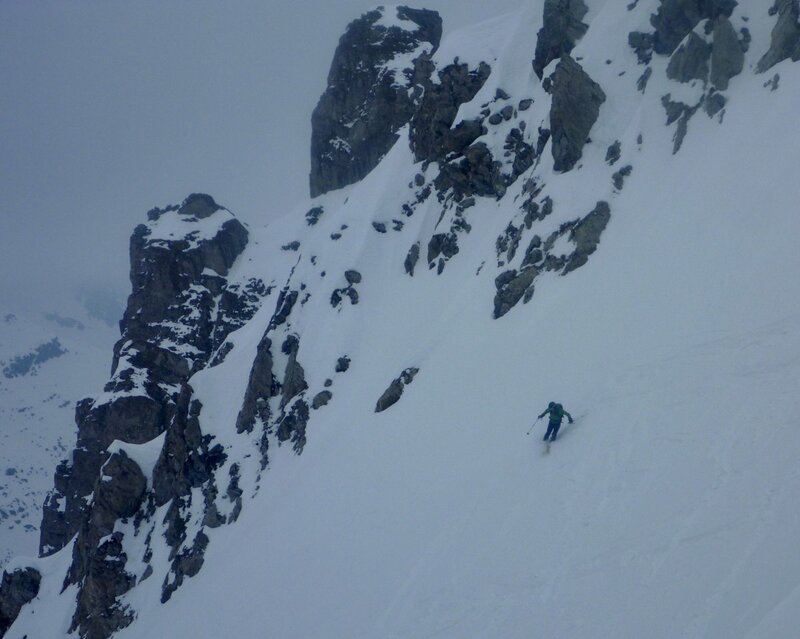 As there was no track from yesterdays snow the upper section of that could have presented some interesting route finding with the extensive crevassing. We lost height quickly in descent on the Italian side of the range and only briefly contemplated an ascent of Pyramide Vincent before scuttling down to the Rifugio Mantovo for excellent panini and, of course, more café! Where we had taken the more direct scramblers route with some fixed ropes in ascent, this time we took the more tranquille although still rough back to the top of the ski lifts and worked our way down to the Gelato awaiting in Gressoney…. An excellent quick trip in to the very high mountains with very little technical difficulty. 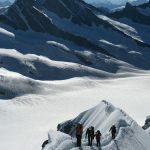 If you have climbed on the Monte Rosa recently please add any relevant comments on climbing conditions via the ‘New comment’ button at the base of the page.